"Wonderful experience riding on the beach with Diego. Was definitely a highlight of our trip and (my life)!" "I've done dozens of beach rides all over the world from Mauritius to Spain to the Halfmoon Bay to the Bahamas. This one was the best. The horses were well trained, responsive, and healthy. They not only weren't scared of the water but actually wanted to go swimming!" "What a great Costa Rica experience for our family. The horses are healthy and happy! If you are looking for a horseback riding experience, then this is the place to go." 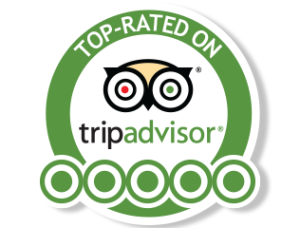 "I would recommend this to anyone, Diego is a true gaucho and a great guy, and the experience itself was amazing!" 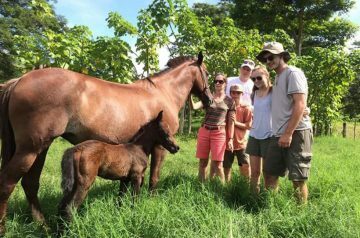 Live the Costa Rican experience, live the Riding Adventure! 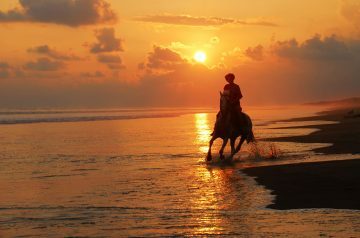 Discover the best horseback riding tours of Costa Rica. 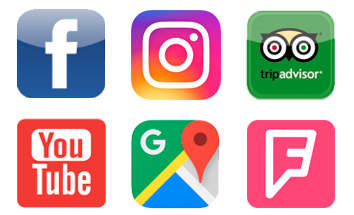 Since 2005 our goal is to provide you with a unique and unforgettable experience. Let’s enjoy the pristine beach of Esterillos located on the Pacific coast with a bilingual authentic Costa Rican cowboy and his amazing Mustangs. Don't wait! Come & enjoy the ride with us! Take a tour on horseback, on an uninhabited beach and the fresh forest trails that border it. Each route is customized depending on the needs of the group. No need to be an expert in riding. Ideal place for people who enjoy sunsets, surfing and appreciate a wide diversity of animal and plant species, on foot or on the back of a docile and well trained horse. When properly seated on a horse, the rider maintains correct posture, which can help improve balance and mobility in their daily activities.